Sauerkraut, juniper berries, and pork? You could be forgiven for thinking this sounds like great German food. Well, it does, but look closer; this is, in fact, the cuisine of northeastern France, not a million miles from Germany, hence the cultural influence. The Foods of Alsace Lorraine are considered some of the finest foods in France whatever their origins may be. The area of Alsace Lorraine has flip-flopped back and forth between Germany and France, each one ruling then the other for several centuries. Over time, Germany’s influence on traditional French dishes became apparent but it is the fusion of the two cuisines which are so culturally different which has resulted in the outstanding cuisine to be found there today. Alsatians and Lorrainers have become masters of pickling, smoking meats, and packing sausages. They place a high importance on the impeccable quality of their rustic food products. The traditional German ingredients of marinated meat and vegetables are stewed to make the delicious and flavorful Baeckeoffe. Robust sausage and pickled cabbage (sauerkraut or choucroute) pair up to make Choucroute Alsacienne. German influence is even apparent in the flavor of the local wine, the intricacies of which can be closely compared to classic Rhines. Another favorite and one now found all over France is the Flamme Kuchen. or Tarte Flamme as it is also known. 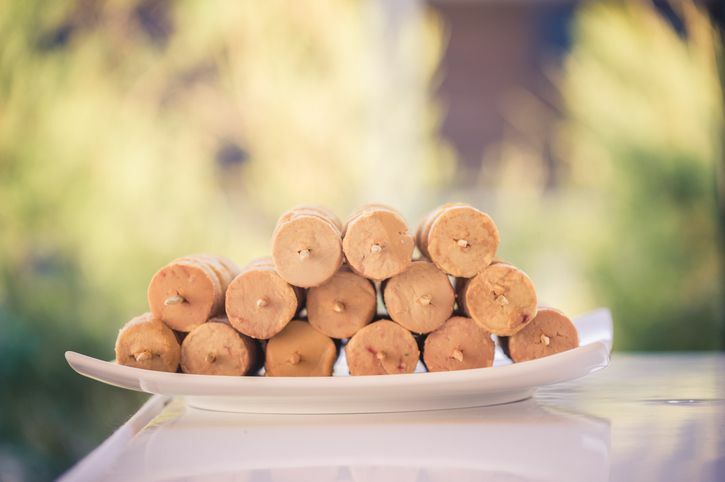 The Alsatian culinary claim to fame is Foie Gras, a light, flavorful pate of duck or goose liver. The dish is now controversial in many countries owing mainly to the breeding of and force feeding the ducks and geese needed to make the pâté. In commercial production, the birds are caged and force-fed frequently throughout the Gavage (force feeding) season. In Alsace Lorraine, many farms still produce the liver dish using their own homegrown geese and ducks, and their methods of feeding are more gentle and humane than the commercial. The other famed dish is the Quiche Lorraine, a rich egg and ham open tart which hails from the Lorrainers. Munster-Gerome cheese hails from both areas of the region and is best displayed with the simple presentation of en robe des champs (potatoes boiled with their skins) and cumin seeds on the side.